Andy Wachowski and Lana Wachowski are reportedly developing a brand new sequel trilogy for The Matrix, with Warner Bros. eyeing a 2017 release for the first movie. The filmmakers are rumored to have already turned in outlines and treatments to the studio, which is desperate for a big blockbuster franchise. Warner Bros. reportedly wants the first movie ready by 2017 so it can compete against the highly-anticipated sequels Star Wars: Episode VIII and Avatar 3, which are slated for release that year. 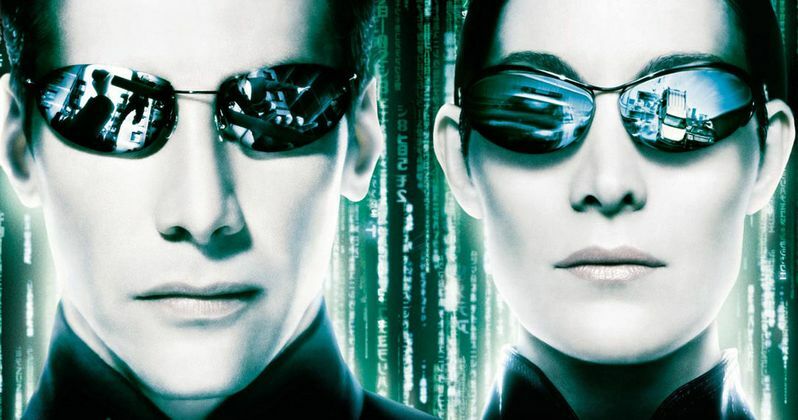 While it isn't clear which way the filmmakers plan on taking this new trilogy, one of the early outlines reportedly explores how The Matrix was first created. It's too early to tell if this is the route they plan on taking since the story is still very fluid. It also isn't clear if Keanu Reeves will be back as Neo, or if any of the other cast members will be back. It hasn't been confirmed if Andy Wachowski and Lana Wachowski will be back to direct, but Latino Review believes the siblings will be at the helm. The previous animated movies such as The Animatrix will not have any effect on this new live-action trilogy or its storyline. Of course, nothing has been confirmed by Warner Bros., and this isn't the first time we've heard about a return to The Matrix. Back in January 2011, we reported that Keanu Reeves announced during a speech at London School of Performing Arts University that there will be two more Matrix movies coming in 3D. The Matrix and its 2003 sequels The Matrix Reloaded and The Matrix Revolutions earned $1.632 billion worldwide for Warner Bros.